In my early years, I’m talking about before World War II, my mother, Rose, (I never called her Mother, just Rose) would collect me from school every Thursday and we would go straight to the pictures. This was a regular arrangement week in, week out. I loved the cinema especially the B Pictures. These were the cheapie pictures that accompanied the main feature. To me they were better than the main features. I hated the cowboy films but loved the detective mysteries, especially if they took place in the Orient. Rose always packed sandwiches, a banana, an apple and a flask of hot tea. She would bring a torch to show me that the banana and apple didn’t have any marks on them, because I wouldn’t eat them if they had a blemish, and I would sit there carefully scrutinizing each one in between watching the film. That’s how finicky I was. Really, I was a pain in the arse, but Rose never complained. 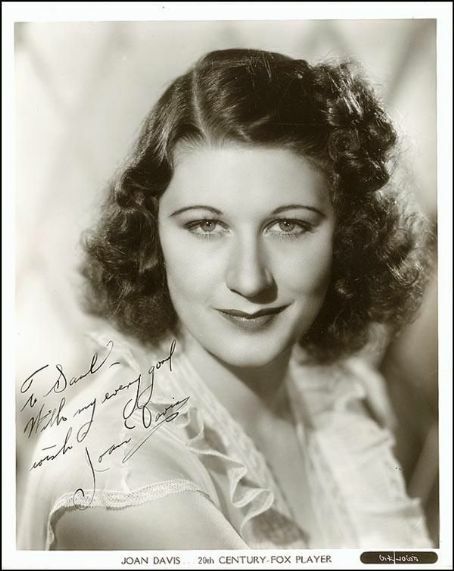 But my ultimate real favorite was a lady called Joan Davis, one of the funniest people I have ever seen. 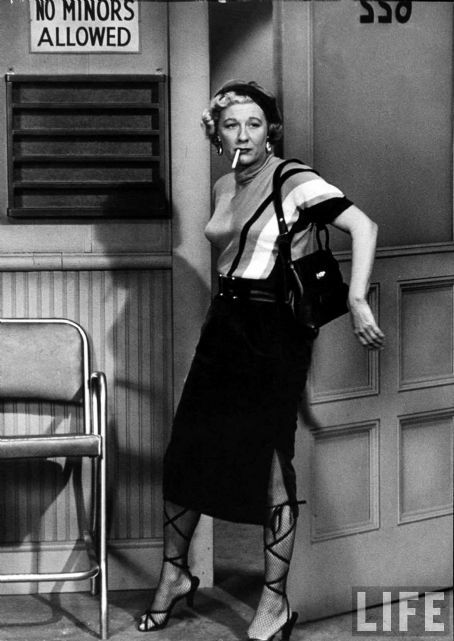 To this day I have never seen anyone to compare with her comic genius. The comic ladies of today could not hold a candle to this wonderful lady. How she managed to contort her body and her facial expressions always made me laugh out loud. 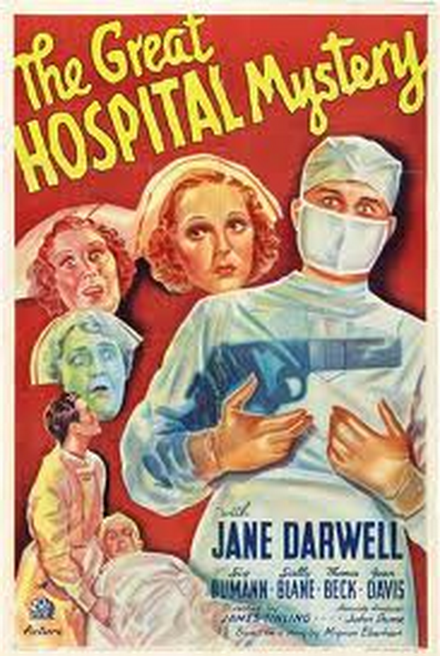 The one film that I will remember to my dying day is “The Great Hospital Mystery.” It is based on one of Mignon Eberhardt’s “Nurse Sarah Keate” whodunits. 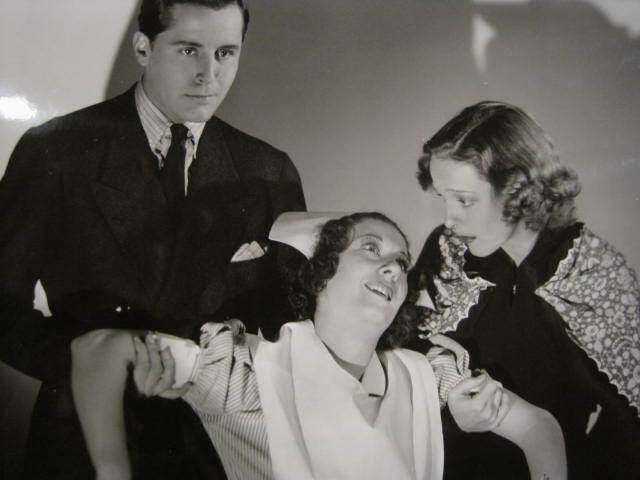 As the night superintendant of a metropolitan hospital, Miss Keats (Jane Darwell) does her best to handle the personal problems of her staff – especially nuse Ann (Sally Blane), whose brother Tracy (George Walcott) is being victimized by mobsters. To save Tracy from assassination, Keats and Ann make it appear as though he has died in the hospital while a patient there. Their plan is compromised when another patient is murdered – or is he? 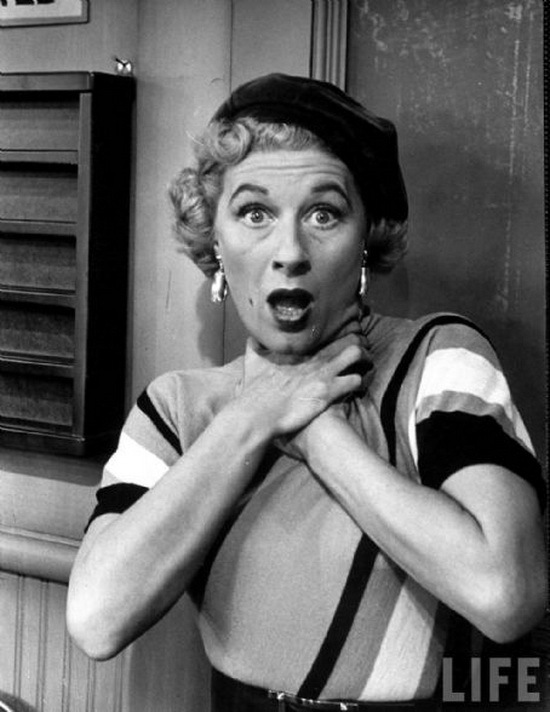 Joan Davis played a dizzy nurse who is forever taking her own pulse and temperature to make sure she also is not dead because she just cannot cope with all the dead bodies around her. She steals the film when in her hysterical state she collapses onto a settee where there is sitting a dead body and she accidently picks up his hand instead of her own to take her temperature and realizes she is dead. The cinema was in hysterics with laughter as she runs screaming along the corridors shouting, “I’m dead, I’m dead” and trying to find something to collapse on. She finally finishes up going back to the settee with the dead body. This list shows you how prolific her work was during the year 1937, so I was sure to see her fairly regularly in one film or another. They were all B pictures and I didn’t miss one. All those films she made in one year, something like one a month. They certainly knew how to turn them out in those days. By chance I have found a still from the film where she is collapsed on the settee. Now that is what you call luck, because it was the best scene in the whole film and the one thing I always remembered about Joan Davis. A very, very, very funny lady. If you were to Google: ‘Joan Davis / You Tube’, you will find a wonderful collection of her work.